It is believed that apricots originated in China, although they were probably known by another name in Asia. From there, they were brought westward and introduced into Asia Minor and Europe. Spanish explorers are credited for introducing the apricot to the North American content--and specifically California, where they were planted in the gardens of Spanish missions. In 1792, in an area south of San Francisco, the first major production of apricots was recorded. 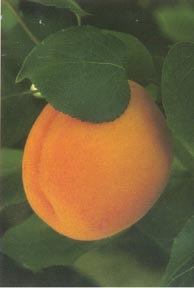 The 1910 U.S. census recorded reported that 96.4% of all apricots grown in the United States were produced in California. Today, over 400 growers produce apricots from orchards covering 21,000 acres in California. About 95% of the apricots consumed in the United States come from California.